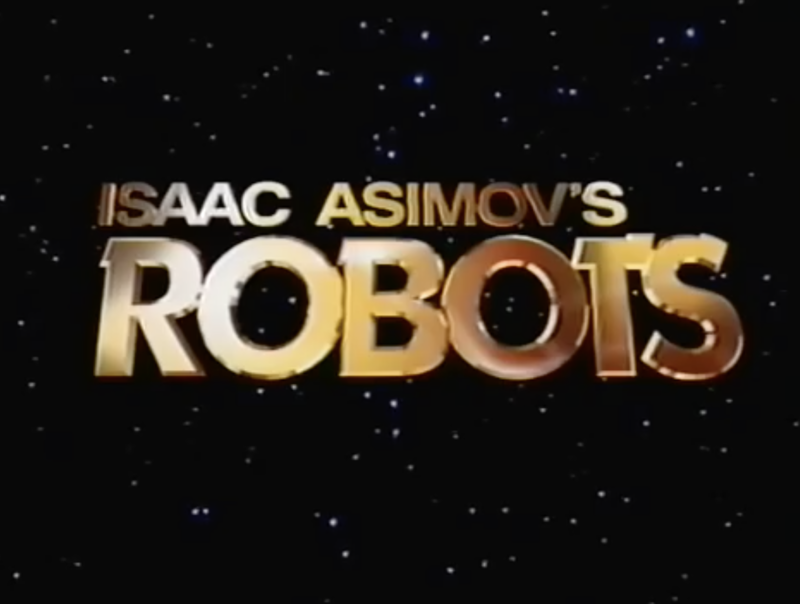 This 1986 VHS game envisioned a murder mystery set in the universe of Isaac Asimov’s Robot books. Loosely based on the book Caves of Steel, it’s an ambitious effort and carries a high production value – particularly for the mid-1980s, when so many were getting away with so much less. Robots follows Detective Elijah Bailey, an Earthling, as he is assigned to the murder of a member of a rival faction, the Spacers. Was an Earthling behind the killing? A Spacer? A (gasp) robot? The Earthlings have their own robots, but they’re pretty crude. Sorry, really crude. Bailey’s got 24 hours to solve the case before the Spacers destroy the Earth. Ok. He’s sent to “Old New Jersey”, a city that’s been modernized as a Spacer embassy on Earth, and is paired up with one of the Spacer robots, a much higher grade of production. 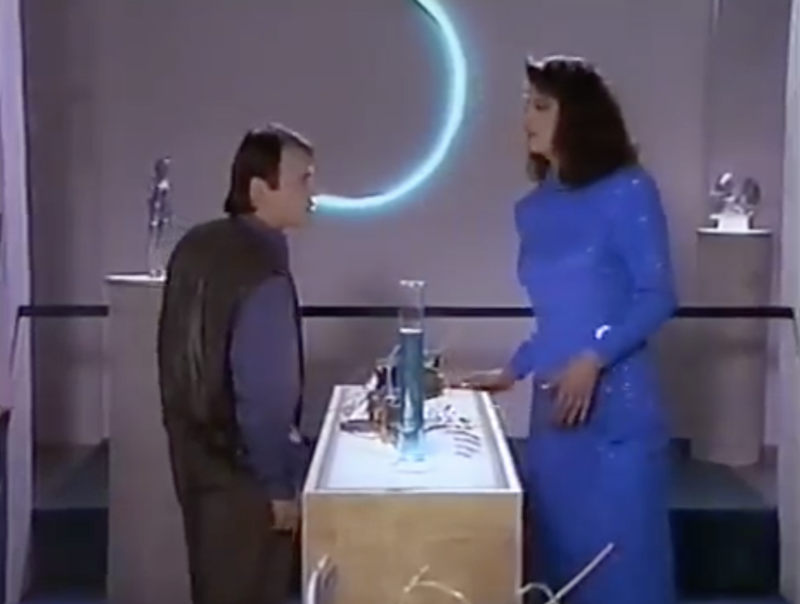 The sets of “Old New Jersey” are pretty impressive, for a mid-80’s production. They look positively ’90s! 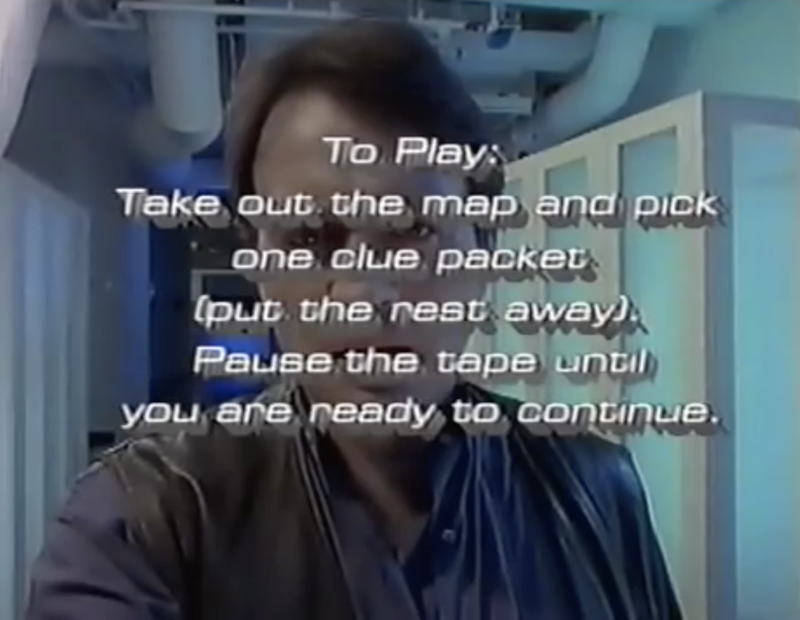 Unlike some VHS games, there’s no fast-forwarding or rewinding around to different points of the tape to play the game. The story plays out pretty linearly, with prompts to pull clue cards at significant plot points throughout. Call me when there’s a Foundation VHS game. Coca-Cola sponsors this short film filled with instruction on how to properly prepare for and attend the high school prom. Who knew etiquette was so by-the-numbers? I have the feeling that any attempt to turn a high school prom into a formal cotillion generally ends in disappointment. Still, the film gives good general advice, like don’t give a flower corsage to a girl who’s got a dress with daisies on it. Tips that anybody can use. Do NOT forget to say goodnight to the chaperones! 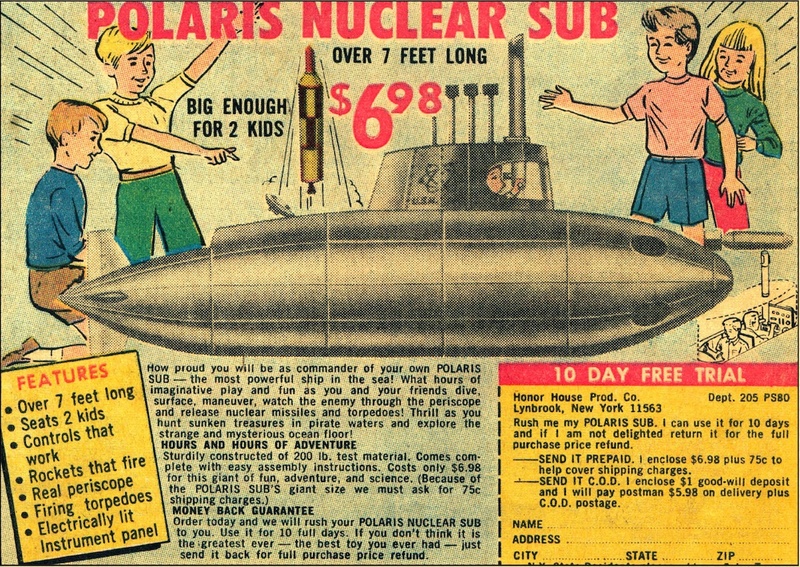 I’m fairly certain that this “Nuclear Sub” was little more than a pointed cardboard box, but I’d probably have fallen for this ad. “Controls That Work” is a particularly bold feature. From the motorcycle to the drag racer to the skycycle, this is a pretty impressive array of Evel Knievel toys. 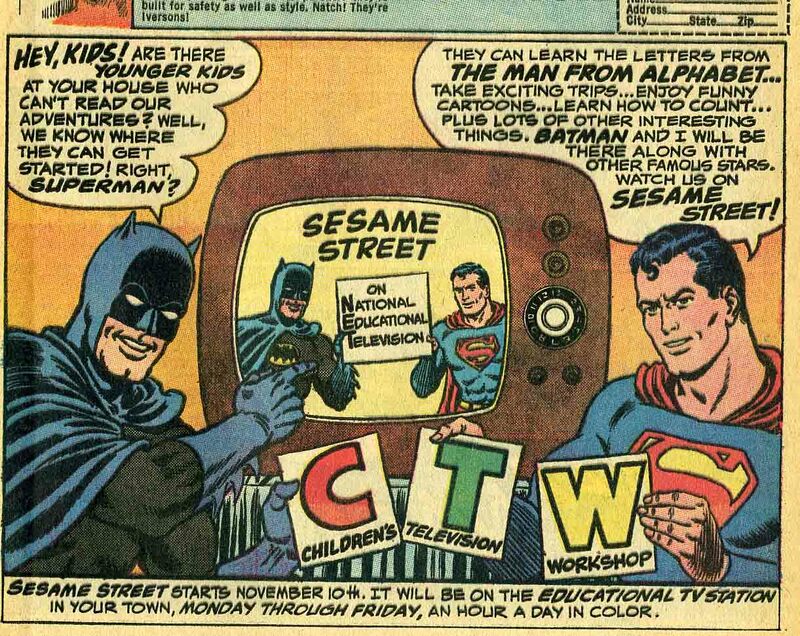 On the surface, it’s interesting that Batman and Superman are promoting the premiere of Sesame Street. It’s charming – they hold up the CTW letters, they refer to themselves as stars. But, really, what are they watching? Themselves, promoting Sesame Street?